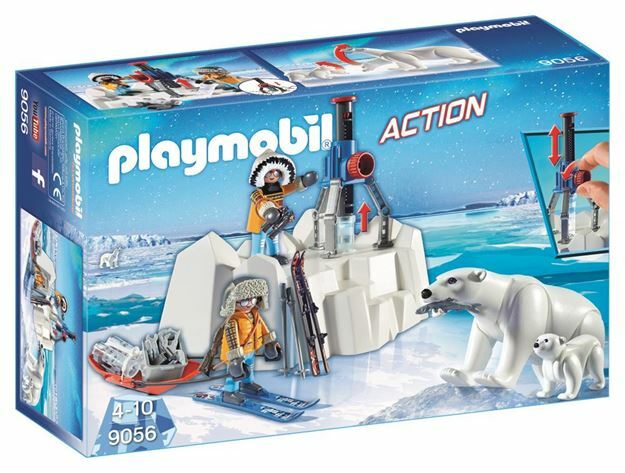 The Playmobil Arctic Explorers with Polar Bears is an icy outpost where energy cores can be extracted from the ice. The extractor pulls the energy cores from the ice, under the watchful eye of the local polar bears. The explorers come with skis and a sled to transport the energy cores back to base. Includes: 2 figures, a mother and baby polar bear, iceberg and accessories. Part of the Action range. Age 4+ years. Distributed in New Zealand by Holdson.